Taco Bell fails to get key domain name, then spreads hot sauce over the facts. Taco Bell kicked off the new year with an unusual ad campaign for the Drive-Thru Diet. The campaign suggests that you can actually lose weight by selecting certain items off the Taco Bell menu. Taco Bell smartly acquired the domain name DriveThruDiet.com prior to launching the campaign. But it didn’t acquire the correctly spelled domain name DriveThroughDiet.com, which is owned by Nelson Wellness & Therapy Center of Savannah, Georgia, a weight loss center. Taco Bell’s parent company Yum! Brands filed for arbitration at National Arbitration Forum to get the domain name. But like a Burrito Supreme, the case left a bad taste in the arbitrator’s mouth. Complainant has obtained in 2006 a trademark registration for the mark DRIVE-THRU DIET in connection with restaurant and carry-out restaurant services and alleges that it had been continuously using and promoting it since 2004. Really? 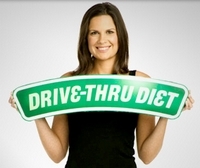 I don’t recall seeing ads for the Drive-Thru diet until just recently. If you do a little digging, you’ll see that Taco Bell wasn’t exactly forthcoming. It was actually a company called Natural Selections and its owner that filed a trademark application on the term in 2004 that was granted in 2006. It wasn’t until 2009 that Taco Bell acquired the trademark from the previous owner in anticipation of its new ad campaign. In fact, as late as December 2009 DriveThruDiet.com showed merely a “coming soon” page. Respondent Nelson Wellness & Therapy Center registered DriveThroughDiet.com in 2007. Panelist Hector A. Manoff denied Taco Bell’s request.